Welcome to the CornSnakes.com Forums. Any and all posts concerning items for sale, or items wanted must be posted in this area. Posting of classified ads by registered members is FREE!! Got too many? Had a change of interest? Babies hatched out and you want to make some money so you can buy others? This is the place to try to sell them. ALL members may post ads here. Any other types of animals, plus caging, feeders, etc, can be posted within this area. ALL members can place ads in this section. Looking for something special and you don't know who has it for sale? Post what you are looking for here and see if you get any bites. Any other types of animals, plus caging, feeders, etc, WANTED can be posted within this area. This section will provide direct links to other websites that may be of interest. If you are looking for, or want to talk about, animals other than cornsnakes, well this is the place to come to. Thinking of buying or selling and not real sure about the person you are thinking of doing business with? Well this is where you need to go to find out that kind of information. YOU WILL NEED TO REGISTER ON FAUNACLASSIFIEDS TO USE THIS FEATURE! As of 02-02-2019 the Board of Inquiry is only available to FC contributing level members. 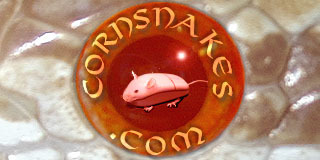 This is a direct link to the CornSnake classifieds section in FaunaClassifieds.com. There are 104,000 registered members over there, so that's a LOT of potential customers for you! Spread the knowledge! A lot of people go to FaunaClassifieds, so let's show them how active the Corn Snake community really is. This area is for members who have elected to have their own personal forum on this site. All forums are open to the public for viewing and posting messages. How is this site doing? Any suggestions to make? This is the forum to talk about this website in general. Little bit apprehensive about the complexity of this site? Well do your experimenting here to get your feet wet. No penalties for making mistakes. Most users ever online was 4,683, 12-12-2018 at 12:35 PM. 4 posts in the last 24 hours, 336 posts in the last 30 days. 1 new members in the last 24 hours, 47 in the last 30 days.